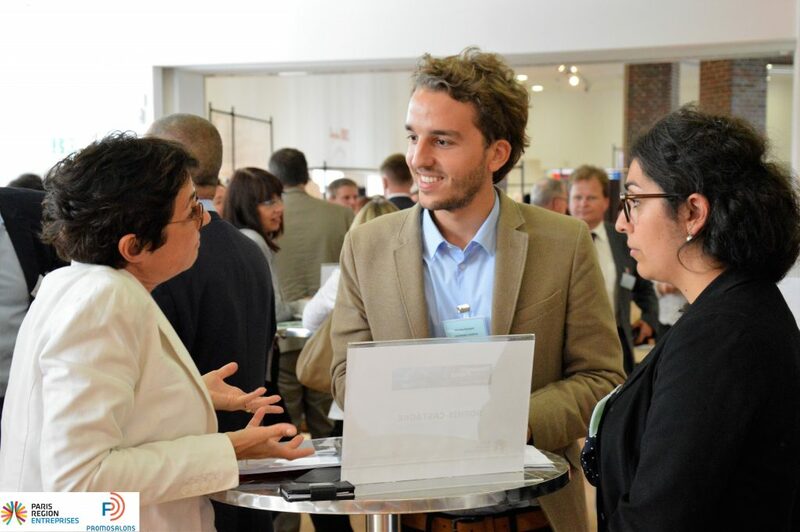 LogiMobi-Events had the opportunity to interview Sophie Castagné during the conference Paris vernetzt on June 29, 2017 in Düsseldorf. Sophie Castagné has headed up GIE Objectif transport public since 2005. The mission of this agency is to promote public transport and sustainable mobility. Sophie Castagné is resposible for the organisation of recurrent large-scale events aimed at both professionals and the general public, such as the Transports Publics, Europen Mobility Exhibition. Strengthened awareness for mobility options next to cars. LogiMobi: Mrs Castagné, since 2005 you are director of GIE – Objectif transport public. The GIE’s mission is to promote mass transit and to raise awareness regarding issues of sustainable mobility. From your point of view: What has changed in the public and political awareness regarding the importance of public transport? Castagné: The way we think about our mobility has changed. However, less the government has started the change, rather the people started to think about their mobility behaviour and changed their points of view. Today we observe a revived awareness of public transport both in politics and society. This cultural change in our minds ensures that the car is not the only option anymore. It is one option of many in a whole chain of mobility. As a result, a car does not have to be owned, but has to be shared, clean and small to be attractive for daily mobility. Especially in urban areas like Paris we do not need an own car. Because of congestions it isn’t faster than public transport. Additionally, the society itself has changed and consequently changed the way of mobility. Today we really choose the mode of transport for our specific route. We can select between public transportation, own bikes, shared bikes, shared taxis and many more. If we need a car for longer trips we can rent it. We decide and consider that our travels are safe, green and cheap. To summarize we have many possibilities of mobility today and we are aware of that. What are the main objectives your organisation has achieved since its foundation in 2005? We support this change. For example, with our fair “transports publics” we try to connect people. We connect authority’s and public transport companies with private companies and suppliers. A major for instance can visit industrial firms and compare different types of green busses. Through this connection of people, we foster decision making. One big trend is undoubtedly the autonomous vehicle. It will increase the attractivity of public transport. For example, Paris tested two autonomous vehicles of easymile in Paris. [Editor’s note: More information here] They drove between Gare d’Austerlitz and Gare de Lyon on the Charles de Gaulle bridge and offer commuters a convenient way to change the station. Another project with three autonomous shuttles from “navya” starts at La Défense [Editor’s note: large business district in Paris. More information here] All three shuttles start at the metro station and drive on defined routes through the district. Also small cities like Annecy in the south of France plan to use autonomous shuttles for public transport. In particular, in Annecy they will be used for tourist transport at the lake. These autonomous cars are used by public and have capacity for up to 10 people. How do you think about autonomous cars which are owned by private persons? How can urban areas benefit from autonomous vehicles? Regarding urban areas we have to differentiate public autonomous vehicles and private autonomous cars by their impact on mobility behaviour and on traffic. Individual autonomous vehicles are like normal private cars. There is only a shift between two modes of individual transport. Maybe they will be local emission free vehicles, but they take the same space per person as normal cars. Thus, they cause the same congestion. Especially when we think about the densification of cities this won’t be a sustainable urban solution. Consequently, the urban areas should organize the system of autonomous vehicles. A regulated and well organised collective transportation with autonomous vehicles displays a benefit for everyone. In a well-organized system, there must be one actor who will connect and possibly own the data. Who will be it? In my opinion, a governmental organisation will be the organiser and will thus have a “white label solution”. Where the data is stored and who will own it is a very difficult question. France has a very strict data protection law for privates’ personal data. However, inside this legal frame every company can store, share and analyse data in the way they want to. This includes government public organisation, private companies as well as start-ups. Regarding the rise of Startups do you think public organisations and authorities have the speed and agility to stay competitive? The mobility Startups aren’t and won’t become competitors. The Startups build new systems together with big firms like RATP or Transdev. The companies realized that it is better to cooperate with Startups than to fight against them. They give the Startups the input e.g. data and then the Startups create new products and solutions e.g. for new ways of mobility. This ideas and products are shared with or sold to the companies. Both cannot work without each other. It is a kind of marriage. 2018 there will be again the transports publics Exhibition in Paris [More information]. What is planned for this fair so far? We have a special guest next June. It will be Los Angeles metro, who offers the whole system of LA transportation. As a public transport company from the U.S. they face strong competition with the automobile. However, they have ambitions to develop their public transport system [Editor’s Note: Measure M long range transportation plan. More information]. So they have to change mentality and behaviour of the people living in the metropolitan region of LA. They have to become more attractive. We want to show them how actors in Europe can help them. Furthermore in 2018 on the fair many new autonomous vehicles will be presented. Much more than in 2016. Energy will be another big topic. There will be presentations of hybrid, hydrogen and gas vehicles as an alternative to classic fuel systems. Moreover, shared mobility will have a special focus. And last but not least France is the number one StartUp country in Europe. Therefore, we have a special competition and presentation opportunities for startups. Last question. What is your vision of mobility in five years? What is your utopia? My utopia is that we think back on our own fundamental mobility option: Going by foot. (laughing). Seriously, we often forget we have legs. They are free of use and unless we are busy and in a hurry, we can take a walk. Additionally, if we need it a little bit faster, we can go by bicycle. Thank you very much for giving insights into this important topic from your perspective to our readers. 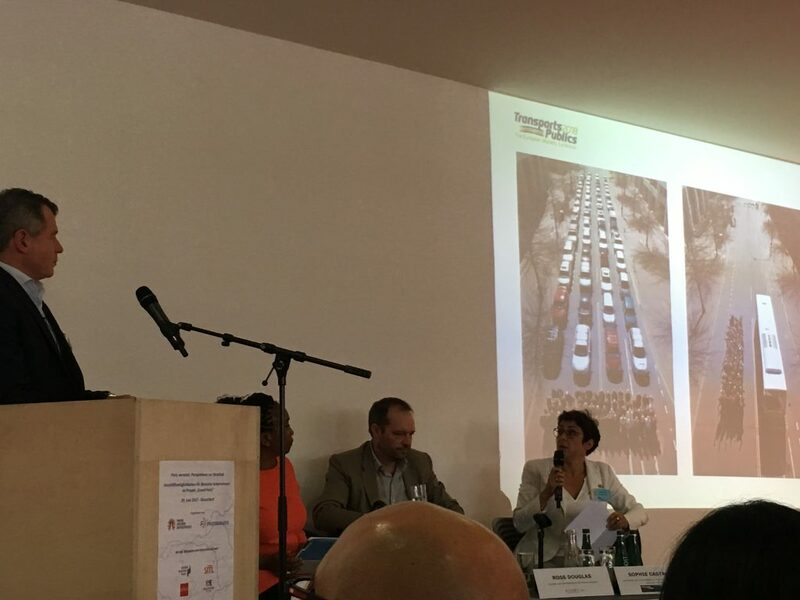 Information about Paris vernetzt and the Grand Paris Project are here: Report of Paris-vernetzt Event in Düsseldorf, June 2017.